The diverse regions across Italy mean that there are resorts the whole family can enjoy. Here we will discuss on a small selection of resorts that are great for family groups of all sizes. You might think that having children means you have to limit the types of holidays you can enjoy. However, there’s no need to leave the children at home or stop taking the energetic holidays you had in the past. 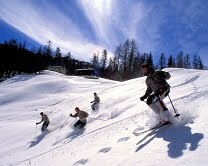 Why not explore the charms of Italy and take the whole family on a skiing trip? From gentle nursery slopes to exhilarating black runs, you’ll find something for everyone on a family skiing holiday in Italy. Even if you’ve never put on a pair of skis before, with purpose-built beginners’ packages you’ll be flying down the slopes in no time. The laid-back atmosphere in this resort is perfect for families. There are some easily accessible beginner slopes, as well as access to the luxurious resort of Madonna di Campglio for the more adventurous skier with an area lift pass. The modern resort has plenty of entertainment and a great range of activities, including ice skating, snowshoe walking and Nordic walking, to keep the family entertained from morning to night. With great cross-country runs and intermediate slopes, the Val di Fassa resort in the Dolomites region is excellent for family adventure holidays. The picturesque area is a UNESCO World Heritage Site and includes the villages of Canazei, Campitello and Pozza. 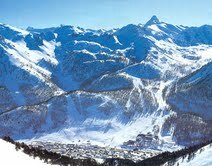 For the beginners in the family, both Canazei and Campitello have village level slopes. However, for the more experienced within the group there’s also direct access to Sella Ronda, which is a 26km route. There’s also a great kids’ club for children up to 11 years old, so you won’t need to worry about entertaining them all the time. Across the area there is a good selection of bars and restaurants, as well as ice skating, bowling, night skiing, paragliding, ice hockey matches and snowshoe walking. One of the five villages in the Milky Way region, Sauze d’Oulx has a varied selection of slopes, as well as the option of days out in Turin and Milan. The area benefits from plenty of sunshine in which you can enjoy the village nursery slope or the easy runs at Sportinia. There are also some superb red runs and a varied après-ski scene. With restaurants for all budgets and tastes, as well as entertainment from a games hall and skidoos to football match trips and an Olympic bobsleigh run, you’ll have plenty to keep everyone occupied. Next time you’re looking for a skiing trip for the whole family, have a look through the huge variety of resorts that Italy has to offer. You’ll have nursery slopes for the children to learn their skills on and if you want to test yourself then there’s a varied choice of slopes for intermediate and advanced skiers. Don’t feel as if you have to be tied down to sedate holidays now that you’re a family. There are plenty of exhilarating breaks that are perfectly suited for the family market. Shannen Doherty writes regularly on travel and leisure topics for a range of lifestyle and holiday websites and blogs. She has a keen interest in the family adventure holidays market and regularly takes a family skiing holiday to sample what she writes about.